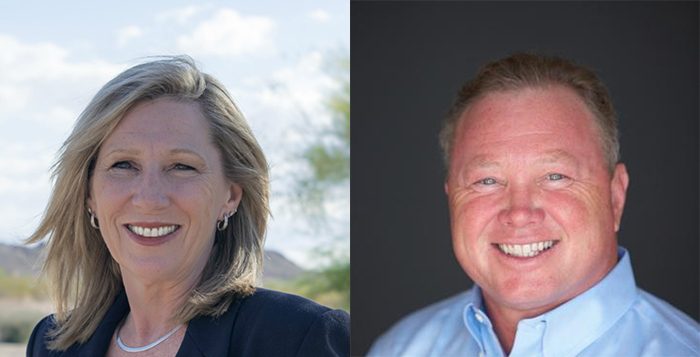 Jacqueline Minto is challenging Douglas Wolf for his job as Pinal County assessor. Republican Doug Wolf is the incumbent assessor in Pinal County. This fall he is facing a challenge from Democrat Jacqueline Minto in the General Election Nov. 8. The candidates share their background and some insights into the challenges at the Assessor’s Office. Professional background: From December 2006 until January 2015 I was employed by the Pinal County Assessor’s Office. The positions I held include chief deputy assessor, Research & Equalization manager and Personal Property manager. From December 2015 until May 2016 I was employed as appraisal manager for the Coconino County Assessor’s Office. Organizations/Affiliations: International Association of Assessing Officers 2007 – 2016; AZIAAO 2007-2006; National & Arizona Associations of Realtors 2014 -2016. Greatest political inspiration: I am inspired by courageous leaders that promote justice and equality, leaders that engage in economic development and trade diplomatically, without promoting war. I believe that some of our most inspiring politicians include: Eleanor Roosevelt, Robert Kennedy, Martin Luther King and Barack Obama. Why do you want to be Pinal County assessor? I hope to bring honestly and integrity back to the Assessor’s Office. My goal is to use my education, knowledge and experience to protect the rights of property owners in Pinal County. What makes you more qualified than your opponent to be assessor? My education, background in research, assessment experience and dedication to public service make me more qualified than my opponent to be assessor. What would you most like to see change in the Assessor’s Office during the next four years? I would like to work with the other Arizona Assessors to implement a single-year valuation cycle. The two-year cycle, intended to help Assessor’s cope with the volume of petitions they received prior to the passing of Prop. 115, is no longer necessary. What is the biggest challenge you foresee the Assessor’s Office facing in the near future and how will you prepare for it? I see future growth as the biggest challenge facing the Assessor’s office. Low morale has resulted in the resignation of several key personnel. The danger is that there will not be enough staff to meet demand as new homes and businesses are constructed. I plan to fill the vacancies. I also plan to introduce Pictometry to the Assessor’s Office. Pictometry is an aerial imagery platform that can be used by appraisers to locate and assess property from their desktop. It reduces the number of appraisers required to face demand while saving on transportation. Maricopa and Coconino Counties are using Pictometry with great success. Organizations/Affiliations: YMCA Copper Basin board member. Avalon Charter school board member. Member of the San Tan Valley, Casa Grande, Florence and Apache Junction Chambers of Commerce. Poston Butte High School volunteer of the month. Greatest political inspiration: Washington, who turned down the chance to be named the king after defeating the British, and Lincoln, who saved the union. Why do you want to be Pinal County assessor? I am the incumbent and would like to continue serving the citizens of Pinal County. What makes you more qualified than your opponent to be assessor? Leadership skills, my commitment to Pinal County and private sector experience. I have chosen excellent staff, like my chief deputy, who has nearly 40 years of working in the Assessor’s Office. What would you most like to see change in the Assessor’s Office during the next four years? There are several software projects I would like to get funded by the Board of Supervisors. One is an online portal for easier filing of business personal property taxes and second, adding hi-resolution three-dimensional images to the appraisal process. What is the biggest challenge you foresee the Assessor’s Office facing in the near future and how will you prepare for it? Using our limited resources to value property in Pinal County and stay under budget. You do this by making sure you have the right people in the right places with the training and support they need to do their best work.